Last night, Dec 28th, the Angler Action Foundation (AAF) took over Miami Beach as we hosted the Capital One Orange Bowl Beach Bash. The event was at full capacity, and AAF volunteers were up to the task as they donated time to help raise funds at our concession stands. The free event included a full set by the Dave Matthews Band, an opening show by Walk the Moon, and a stout fireworks display after the music. The Capital One Orange Bowl takes place today between favored Alabama and Oklahoma. AAF volunteers have contributed much in 2018. We’ve planted mangroves and spartina at our Palm Beach County locations Snook Islands and Jupiter Ridge, picked up tons of trash, and raised funds at a variety of events. Our volunteers are spearheaded by Holly Andreotta, who has been a huge part of AAF for many years. 2019 promises to be a fantastic year for AAF, with more plantings, more clean-ups, and fishing tournaments. Next on the list of AAF events is one we’re super excited for – the Inagural Craft Brew Fest and Homebrew Competition at the South Florida Fair on Sunday, January 27th. This event is going to be something special – fully staffed by AAF volunteers, with a wide range of craft beers supplied by our very good friends at Due South Brewery. Advance tickets are only $20 (doesn’t include fair admission), and the fest runs from 3PM until 6PM. Advance VIP tickets are also available, which allow you access to the homebrew competition at 2PM. You can purchase advance tickets to the fair itself at the same site for additional savings. 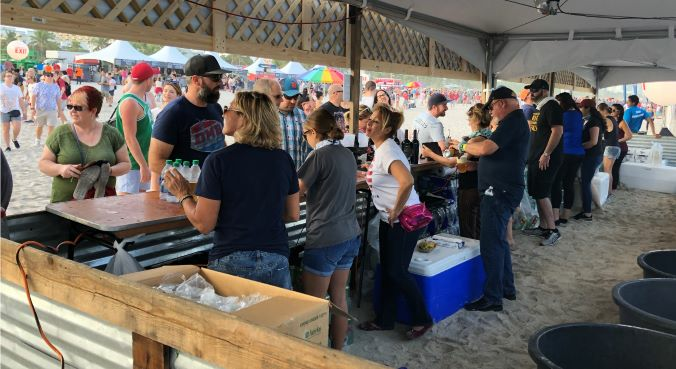 This is an AAF benefit event – proceeds come to the Foundation, so bring your family and experience the best fair in the state while enjoying amazing beer! More information will be posted on our website and facebook page. See you there!